Satellite image of heavy black smoke rising from a building in the town of Habash, Iraq, captures an arson attack in progress on the morning of September 17, 2014. 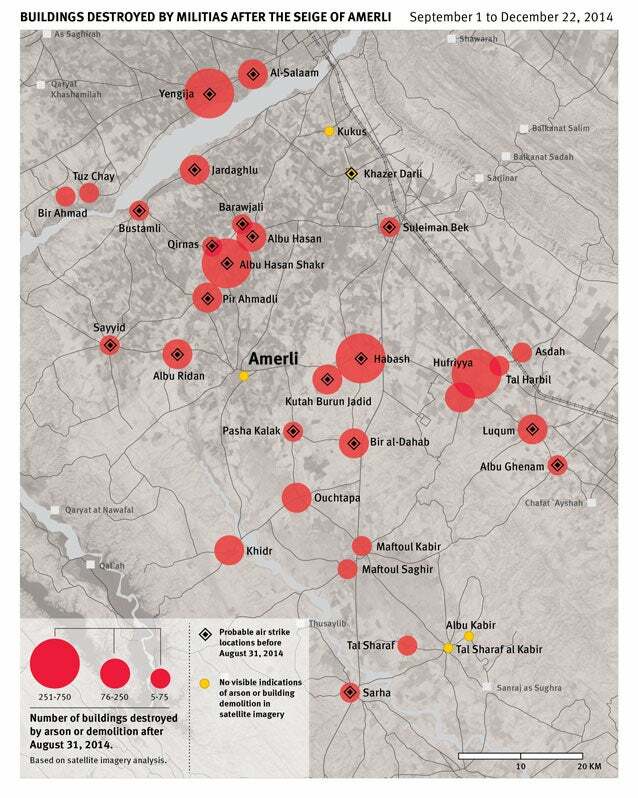 (New York) – Militias, volunteer fighters, and Iraqi security forces engaged in deliberate destruction of civilian property after these forces, following US and Iraqi air strikes, forced the retreat of Islamic State fighters (also known as ISIS) from the town of Amerli and surrounding areas in early September 2014, Human Rights Watch said in a report released today. The Iraqi government should rein in the militias and countries participating in the fight against ISIS, including the United States and Iran, should ensure military operations and other related support in the fight against ISIS are not paving the way for such abuses.